Growing up, one of my favorite Disney attractions was the Country Bear Jamboree. I’ve always loved bluegrass. I’d also long loved animals. As a child, convincing me to watch an animatronic bear play a banjo was an easy sell. It was such a potent blend of two things I enjoyed. Most people feel the same way about peanut butter and chocolate, pizza and beer, and bacon with anything. I’m also seeing similar levels of enthusiasm around the rise of the “Chief Data Officer” or “Chief Digital Officer” (CDO). Finally, information systems and marketing can combine forces seamlessly through a C-level manager that can bring all the disparate parts together. There’s such brilliance and potential in combining two things that are so incompatible! No more language barriers. No more silos. No more poorly defined IT requirements. No more competing for resources or finger pointing when things go hopelessly awry. I hate to burst everyone’s bubble, but now’s as good of a time as any to tell you that this is not as facile a step as thought leaders say it is. The rise of the CDO, alone, is not the panacea. I wouldn’t even go so far as to call it a good start. But, in the right circumstances it’s powerful progress. I’d like to use an analogy to demonstrate why. I want you to pretend that Marketing is a duck that can play the keyboard. I also want you to envision IT as a beaver that can play guitar. Different animals. Different tools. Unique talents. 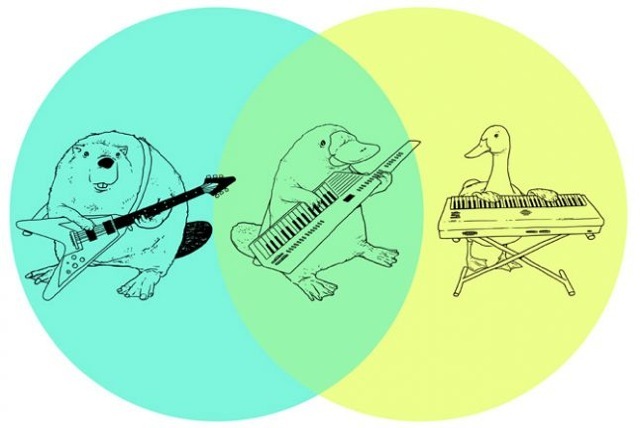 If the two could be blended together into a CDO, the result would be a duckbilled platypus that plays the keytar. Cool? Oh yeah. Unethical genetic engineering? Maybe. Practical? Sometimes. In short, the CDO is a rare breed. It takes an uncommon animal to fit that bill (pun intended). A CDO is a great way to bridge the gap between IT, analytics and business strategy. It’s a relatively new role prompted by the ubiquity of big data, and all of the many technologies that can be used to gather, process and analyze data. But insights are useless without action. These tools can also prompt automated workflows or customized experiences based on instantaneous insights. It’s not enough to build (or buy) and manage those capabilities in a static way because needs and technologies are ever evolving. They often must be integrated with other existing systems as well. Putting one person in charge of the tools and the data is good governance. But, the CDO can only fulfill their potential if they are able to see beyond the tech to make sure the tools actually fit the strategy and the talent at hand. It’s also helpful to have a dedicated person who can evangelize fact-based decision-making in a way that builds a new culture. As common languages between sales, marketing, IT, finance and operations go, you could do much, much worse. After all, research from the Management Information Systems department at the University of Georgia’s Terry College of Business shows that firms that emphasize data and analytics, on average, see a 6% annual gains in productivity, return on equity and market value. No wonder everyone is rushing to make room for a CDO at the leadership table. But, success is far from guaranteed. The role requires a rare person at the right time. There are two key challenges facing the rise of the CDO. The first is that it is very hard to find someone who can elide marketing/strategy and IT into a dedicated role. Each job requires different skills and a unique mindset. Building a database is entirely different from supporting sales, designing customer experiences, etc. The best CDO has a gift for conceptual clarity, and can do a brilliant job translating high-level business needs into low-level, super-specific IT requirements. They’re a source for input, focus and cross-functional alignment. 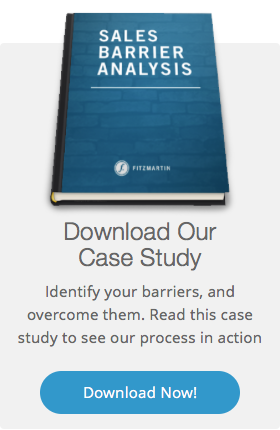 Think of them as an internal product manager for your entire enterprise. After all, building things for our customers often entails building things for ourselves. The second, and perhaps most critical, challenge is often embedded in the culture. Risk-averse, static organizations are a poor fit for a CDO. The depth of your tools and the thickness of your wallet won’t matter. CDO’s thrive in agile environments that “fail fast” and learn on the go. Trial and error can be a powerful vehicle for improvement, provided that lessons are learned and diffused throughout the organization. This should be just as true of investments in information systems as it is of product and service iterations. Before a CDO can build a fact-based, analytics-driven culture (and the attendant tools) that thrives on experimentation, a business has to embrace change. This isn’t a matter of resources. It has more to do with humility and patience – the willingness to be wrong in a transparent way. Before hiring a CDO, your business needs to be ready. You need to commit to finding the right person and giving them the authority and autonomy to succeed. You also have to create the culture that values more than just the benefits a CDO can bring, but the painful changes that must be endeavored to adopt a fact-based decision culture. Realize that not everyone can (or will) adjust. Understand, as well, that outdated behaviors and beliefs must be discontinued – no matter how longstanding or comfortable those might be. You’ll have to provide training that keeps people apprised of new expectations, new approaches, and what those will mean for their daily work. And, of course, you’ll need to link incentives and compensation in a way that rewards people for their resilience and curiosity. All the fancy tools in the world won’t matter if your culture doesn’t possess the requisite mindset to use them well. If you’re ever going to prosper from a duckbilled platypus that can play the keytar, you’ve got to create the right habitat. Accomplish that, and with the right talent your data analytics capabilities will grow from a point solution into an enterprise-wide capability. You’ll see a great transformation - new services, new business models, and better customer experiences. Your business will be nimble enough to seize on opportunities, but you’ll still have the information and judgment to know when to cut bait on the ideas that may be too soon for their time.